Happy Trails to FUN HOME, Pictures From A CHRISTMAS STORY, FUN HOME, and more! Happy Trails to Fun Home, which plays its final performance today in Tampa! We can’t wait to see what you all see next! Check out these pictures and videos from the kids of Fun Home, A Christmas Story, Les Miserables, Elf, The King and I, and Finding Neverland! Jenna Weir in “Christmas Next Door,” “All Saints” with Myles Moore to Be Digitally Released, and more! Hallmark’s “Christmas Next Door,” featuring alum Jenna Weir (Matilda), will premiere on December 16th at 8/7c! Check out a picture of Jenna in front of the Hallmark windows in New York City below! “All Saints,” with alum Myles Moore (A Christmas Story), will be released digitally on December 12th! Check out a clip below! Our founder Lindsay met up with alum Joshua Turchin (A Christmas Story) today, who’s in Los Angeles this weekend to perform material from Trevor: The Musical at Trevor Live tomorrow night! Check out a picture below! Check out these pictures and videos from the kids of A Christmas Story, School of Rock, and Fun Home! 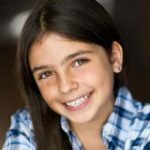 Happy Birthday to Gianna Harris, Pictures From FINDING NEVERLAND, and more! Happy Birthday to Gianna Harris (School of Rock)! We hope you had a great day! Check out these pictures and videos from the kids of Finding Neverland, Fun Home, The Lion King, School of Rock, Les Miserables, On Your Feet, Love Never Dies, Fun Home, and A Christmas Story! WAITRESS Omaha Lulus Announced, Austyn Johnson on “Kevin Can Wait,” and more! Congrats to Anina Frey and Vienna Maas, who will play Lulu in Waitress in Omaha! Get more info at 3NewsNow.com! Congrats to alum Austyn Johnson (Matilda), who will appear on “Kevin Can Wait”! Check out these pictures and videos from the kids of How the Grinch Stole Christmas, On Your Feet, Fun Home, School of Rock, The King and I, and Love Never Dies! Pictures and Videos From SCHOOL OF ROCK, LES MISERABLES, ON YOUR FEET, and more! Check out these pictures and videos from the kids of School of Rock, Les Miserables, On Your Feet, The King and I, The Bodyguard, Elf, and Fun Home!